the commission of crimes punishable by the Criminal Code. economic losses caused by the payment of benefits due to disability and the fight against crime. the final touch: sloppy clothes and untidiness. If an alcoholic take another dose of alcohol, his muscle tone will not restore. Alcoholic livens up. There were different signs and beverages – dominants, during different periods of alcoholism’s periods. In times of ill “dry laws”, people backed to folk recipes and “produce” moonshine from all that came – fruits, constructional and industrial mixes and others. The present time is characterized by expansion of beer consumption. It is cheaper. There is constantly spread misinformation about his supposedly innocuous nature, and even utility. In some cases, beer is even recommended as a drink to quench your thirst or additions to the therapeutic procedures. There are so much positive information with a good assessment that the society’s reaction begins to concern and we should think seriously about the future. Young people willingly swallowed the bait and now there is a surge of alcoholics. The disease does not distinguish which source has provoked it – beer or plain. 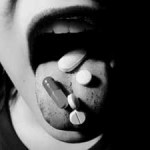 A living organism responds equally painful for the presence of an extra dose. 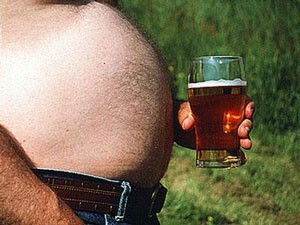 With only the one difference in the consequences – during beer alcoholism it is heavier. “Harmless” bottle of beer develops various complications in the body. Young people feel them through sexual or mental disorders. Alcohol poisons, containing in beer, disrupt of vital internal organs. As usual in such cases, the central nervous system, cardiovascular and digestive system, and naturally the liver are affected first of all. Beer actively destabilizes the work of the heart muscle. The beverage, within a short time, is absorbed by the body and fills the blood vessels that lead to increasing of strain on the heart. Increased by the use of a drink, it mutates and has received capacious name “beer heart”. It loses activity, pumps blood worse and weakens. Such flabby heart will not allow for a human to love or live. A hop, which is used in the production of beer, contains a psychoactive substance. They affect the person: he often carries nonsense and becomes aggressive. Man turns into a violent creature, so that he becomes dangerous not only to himself. His behavior poses a danger to others. Psychoactive substances are not only besots but also dulls drinker. His nervous system becomes accustomed to the new pathogen and the constant urge to drink amplifies. It’s difficult to relax without it, to recover and relax. Drink with hops kills brain cells, as well as a normal alcohol. Infected cells are excreted in the urine, passing through the kidneys filtering. As a result of constant drinking, expression “brain drain” is perceived by experts in the literal sense: as it’s known, nerve cells do not regenerate. Therefore, beer drinker loses intelligence. It is also accompanied by learning disabilities in a youth. Substances in the “harmless” beer: not all of them are safe phytoestrogens – natural female hormones of vegetable origin. Accumulating in the male body, they deposit fat on the “female pattern” – in the hips and sides, lower potency, reduce or completely block the functionality of sperm. Humulone and lupulin are responsible for specific aromas and bitter taste of the drink. Bitter substances form a “beer taste” and are responsible for sedative, hypnotics and hallucinogenic action. Phenols act as a catalyst for the development of malignant tumors in some areas of the urinary system. Cobalt “helps” with inflammation of the esophagus and stomach. Since the liver is constantly being attacked by toxins, the risk of hepatitis and cirrhosis increases. Other metals lead to violations of the endocrine system. Cadaverine (translated from the Latin – the corpse) is usually formed as a result of rotting meat. What does a children’s alcoholism cause? 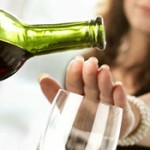 Children’s bodies are vulnerable to attacks of alcohol. If the body of an adult male can resist many years, women – only a few years, then for a child’s – it’s enough few months “tasting” of the corresponding beverages. 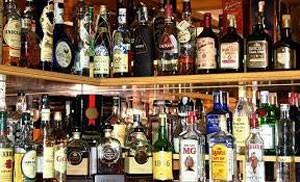 You can imagine how easily defenseless liver and cardio-vascular system are dismantled for bricks by alcohol. A child slows in development, becomes aggressive. His whims don’t know the limit and don’t tolerate objections, causing not child cruelty. Having no money for drinks, nor the opportunity to earn, children begin to steal and beg. If you they can’t buy a beer, some wine or something low-alcohol, buy glue, get a rush and turn into addicts. And it is – a straight road to the degradation of mental and physical self-destruction. External changes. A mother can pass alcohol syndrome to her child. That is why, after the birth, non-standard dimensions of the face, the brain of the skull, head, body and limbs may appear. A child may be born with spherical eyes, they, like the base of the nose, may be drowned. Sometimes children are born with underdeveloped jaw bones. Pathology can be very unpredictable. Internal signs. A child, born from drinking mothers, has reduced cerebral insufficiency. It manifests itself by increased mobility and decreased concentration, aggressiveness and a tendency to a complete loss. Psychomotor development of children is very slow. This prevents them to develop practical skills. Growing up in an alcoholic family, psyche of children is formed in an appropriate atmosphere. It is injured quickly, so that such children often suffer from enuresis and stuttering. They are pursued with nightmares. Children become aggressive and stubborn, some run away from home. There are often anxiety and depression, which evoke thoughts of suicide. All these components form a person with slow mental development, for who is difficult to study, contact with peers, etc. You can imagine what kind of future awaits these children and what they will give the young twigs on the genetic tree of their genus. Here is how 9 months of alcohol abstinence by pregnant woman can change the evolution of generation. Well known that the “gypsy teletype” works faster. At least, it is more likely to be trusted. That is why, often now sufferings use with a pleasure a hint of the former, who says, “Hem,” and let it be. Many who are tend to think that coding of alcoholics is a panacea from everything. It is not bad to look though the special literature. “Panacea” may give a negative result. The main purpose of coding – is to help people in getting rid of alcohol addiction. Even after cessation of alcohol, coding continues making its presence known. Algorithms of treatment laid down in the subconscious mind of the patient, are not selective, that is why the human body responds to many stimuli. Mental disorders can manifest by excessive irritation with symptoms of dysphoria, aggression, fault-finding, conflicts and petty grievances. There are may appear lethargy in behavior, accompanied by lack of initiative, and also other signs of the effect of human zombie. Coding can reduce sexual desire. The resumption of heavy drinking with even greater activity causes disruptions during medical treatment or during later periods. Close people around the patient sometimes try to fill the family “vacuum” by feasts, and do not hide their claims to his portion, begin to drink for “that guy” and soon will achieve the goal. That is why doctors, treating a patient, recommend working his family members. Memory reaction on the sense of smell and hearing is on a subconscious level. Man, keeping in mind a suggestion, hearing during hypnosis, in real life responds to the same sounds with unpleasant and even painful sensations. The desire to indulge with beer, lift to the surface psychiatrist’s words about impending death. Mention of vodka, beer or wine, and even the “men in white coats”, can cause depression and poor health. Places on the body that were pushed by the doctor during the hypnosis session, begin to pain sorely. Violation of appetite, constant overeating, and weakness in the whole body are constant companions, which interferes the usual operation. Sometimes it’s difficult to remove the pain, even with the most effective pain relief drugs. There is no guarantee that the coding turn away from the patient’s craving for alcohol forever: no one knows what processes are taking place in the patient’s mind before treatment. First of all, they are come out by unstable mood, rapid exhaustion, sleep disorders and by other general neurotic disorders. Personality changes happen according to alcoholic scheme with reduction of range of human interests and the prevalence of egocentrism, deceit, and reckless behavior. “Reformatting” personal characteristics in the direction of their decline leads the person to complete degradation. Peer at the dirty “guests” station square and the morning “researches” of trash cans on the house territory. Alcoholic delirium – is severe forms of mental disorder. The essence of this phenomenon lies in the title. As a rule, a chronic course of the disease, this occurs almost all life. Closer to old age it may lose emotional content. And this occur at a successful life scenario. Pathological jealousy has no chance to listen and absorb even telling arguments. For a man with such a defect, there is only one correct opinion – his own. Any other explanation of situation cause more suspicion and strong irritability. Imagine how to live with such a man to the very old age, when perhaps there is something to change! And what if it will not? Who is ready and for what to endure constant showdown, treats and fights. It is not just uncomfortable to live with such human. The second half has all life to take a great risk: the smallest hint of jealousy can blow the mind of the patient until he lost self-control and it will end tragically. “Clanks” – is a typical form of symptoms of alcoholic psychosis. It is also called delirium tremens in circles of specialists. It appears, as a rule, with sleep disorders, just at the moment when a person tries to break sharply with his past. This is the case when it is impossible to “brake” sharply. But the aim is correct. In order to reach it, you need to stock up sleeping pills, which will ensure a peaceful and lasting sleep. The inner anxiety and fear as abstinence manifestations progresses is growing constantly, accompanied by sweating, insomnia, and palpitations. They are followed by hallucinations through the organs of vision and hearing. Patient loses a sense of reality, he is poorly orientated in time and space: the influence of hallucinations and delusional fantasies have an effect. Forthcoming fear is being changed by bursts of unpredictable emotions: a human becomes dangerous for himself and others. At this stage, only psychiatric clinic and prolonged sleep under medical supervision will help him. Their task is to find effective and safe doses of sleeping pills, which, in addition to its main tasks, would ensure normal functioning of the patient’s internal organs. The problem is that the weakly acting drugs are not able to kill the “clanks”, and an overdose may impair the cardiovascular system and respiration, and even block them completely. Auditory hallucinations or “voices from space” are perceived by patients as real. They make a point of determining where the sound came, are perplexed and lost in their guesses. “Voices” sound very different, they seem to be terrible and with unpredictable consequences. Alcoholic hallucinations are similar to delirium tremens by its effect: they also appear during the hangover with sleep disorder. But the depth of their obscuration is not so active. Alcoholic paranoid, delusional fantasies of persecution appear in patient’s body, emaciated by hangover and sleepless nights. With every fiber of his soul, he “feels” someone’s harassment in order to murder. Everything that happens around seems him the elements of carefully preparation to commit a crime against him. He begins to think up the most intricate lifesaver variants. If you do not try to stop paranoid, however, as the hallucinations using medication methods, attacks can develop into delirium tremens. The launch pad of this “couple” is one. Patients suffer from chronic alcoholic hallucinations not often. But it can pester a patient by auditory deceptions over the years. A graduated addiction to “sounds from nowhere” is being formed and alcoholic stands attacks relatively calm, he doesn’t give himself away that “hears voices”. Such chronic patients are given names “carriers of voices”. Asthenia is often observed in form of falling of personal qualities level, rudeness in the behavior. Affective disorders include mood swings, depression and dysphoria, and also predisposition to suicide. Scientists have made sure long ago that alcohol permeates and affects almost all organs. Smiting with toxins, it creates for a while a false feeing of flying in a condition of kef and against the background of well-being. In fact, alcohol, getting into the body, complicates life with concerns that can be formulated by several problems: how not to succumb to alcohol dependence and whether there are methods of prevention of alcoholism.